Tianhe-2 or TH-2 (Heavenriver-2/Milky Way 2) is a 33.86-petaflop supercomputer located in National Supercomputer Center in Guangzhou. It was developed by a team of 1,300 scientists and engineers. It is the world's fastest supercomputer according to the TOP500 lists for June 2013, November 2013, June 2014, November 2014, June 2015, and November 2015. In 2015, plans of the Sun Yat-sen University in collaboration with Guangzhou district and city administration to double its computing capacities were stopped by a US government rejection of Intel's application for an export license for the CPUs and coprocessor boards. It's Architecture is 32,000 Intel Xeon E5-2692 12C with 2.200 GHz 48,000 Xeon Phi 31S1P Cores: 3,120,000, Operating system is Kylin Linux, Memory 1,375 TiB (1,000 TiB CPU and 375 TiB, Storage: 12.4 PB, Speed: 33.86 PFLOPS, Cost: US$390 million, Purpose: Simulation, analysis, and government security applications. Titan is a supercomputer built by developed by an American Supercomputer manufacturer Cray Research Inc. at Oak Ridge National Laboratory for use in a variety of science projects. Titan is an upgrade of Jaguar, a previous supercomputer at Oak Ridge, that uses GPU in addition to conventional CPU. Titan is the first such hybrid to perform over 10 petaFLOPS. Titan is being built by IBM and features fewer nodes with much greater GPU capability per node as well as local per-node non-volatile caching of file data from the system's parallel file system. Titan supercomputer has 560,640-core it's initial cost of the unit were approximately $60 million, funded by U.S Department of Energy which is raised to $97millions due to addition of Storage system. Architecture is 18,688 AMD Opteron 6274 16-core CPUs, 18,688 Nvidia Tesla K20X GPUs, Power: 8.2 MW, Operating system: Cray Linux Environment, Memory: 693.5 TiB (584 TiB CPU and 109.5 TiB GPU), Storage: 40 PB, 1.4 TB/s IO Lustre filesystem, Speed: 17.59 petaFLOPS (LINPACK) 27 petaFLOPS theoretical peak, Cost: $97 million. Purpose/Usage: Use to simulate Molecular physics, energy, activity and interaction between electron and atom, global atmosphere modeling. 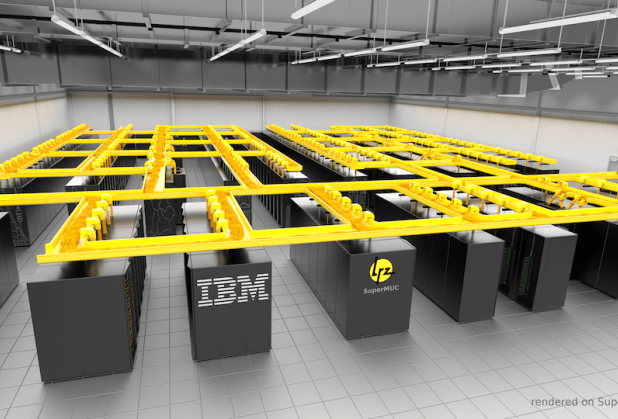 IBM Sequoia is a petascale Blue Gene/Q supercomputer constructed by IBM for the National Nuclear Security Administration as part of the Advanced Simulation and Computing Program (ASC). It was delivered to the Lawrence Livermore National Laboratory (LLNL) in 2011 and was fully deployed in June 2012. Record-breaking science applications have been run on Sequoia, the first to cross 10 petaflops of sustained performance. The cosmology simulation framework HACC achieved almost 14 petaflops with a 3.6 trillion particle benchmark run, while the Cardioid code, which models the electrophysiology of the human heart, achieved nearly 12 petaflops with a near real-time simulation. The entire supercomputer runs on Linux, with CNK running on over 98,000 nodes, and Red Hat Enterprise Linux running on 768 I/O nodes that are connected to the Lustre filesystem. It has Cores: 1,572,864 Linpack Performance (Rmax): 17,173.2 TFlop/s Theoretical Peak (Rpeak): 20,132.7 TFlop/s Power: 7,890.00 kW Memory: 1,572,864 GB, Cost: $655.4m, Purpose: Nuclear weapons, astronomy, energy, human genome, and climate change. The K computer named for the Japanese word "kei" (京? 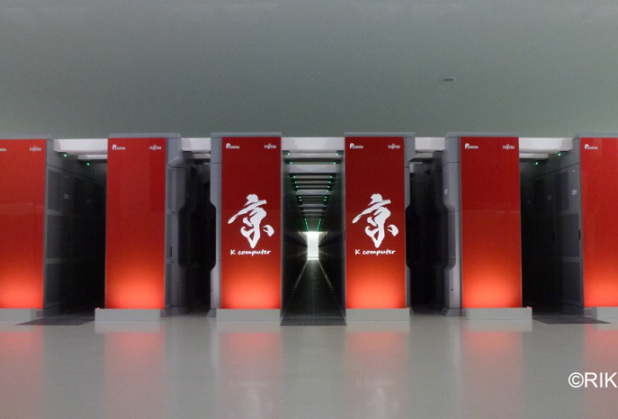 ), meaning 10 quadrillion is a supercomputer manufactured by Fujitsu, currently installed at the RIKEN Advanced Institute for Computational Science campus in Kobe, Japan. The K computer is based on a distributed memory architecture with over 80,000 computer nodes. It is used for a variety of applications, including climate research, disaster prevention and medical research. The K computer's operating system is based on the Linux kernel, with additional drivers designed to make use of the computer's hardware. It's Architecture is 88,128 SPARC64 VIIIfx processors, Tofu interconnect, Power: 12.6 MW, Cores: 705,024 Linpack Performance (Rmax): 10,510.0 TFlop/s Theoretical Peak (Rpeak): 11,280.4 TFlop/s, Cost: $1.2 billion US dollar, Purpose/Usage: Climate research, Medical researches and Disaster prevention. IBM Mira is a petascale Blue Gene/Q supercomputer. 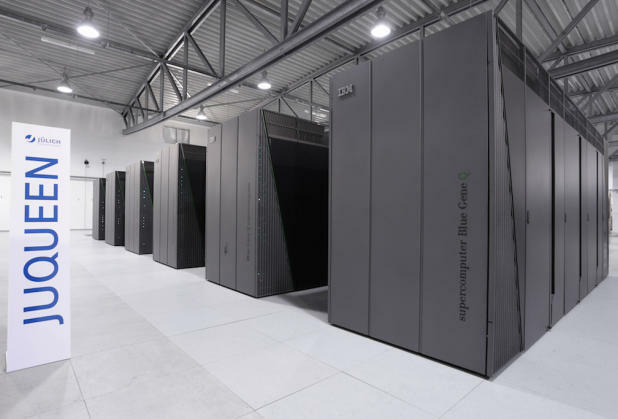 It has a performance of 8.59 petaflops (LINPACK) and consumes 3.9 MW.The supercomputer was constructed by IBM for Argonne National Laboratory's Argonne Leadership Computing Facility with the support of the United States Department of Energy, and partially funded by the National Science Foundation. 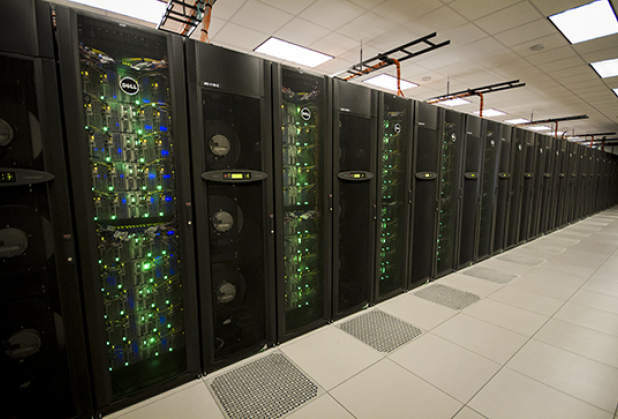 The supercomputer is being utilized initially for sixteen projects, selected by the Department of Energy. Architecture: IBM BG/Q 5D Torus Interconnect configuration, Cores: 786,432 Linpack Performance (Rmax): 8,586.6 TFlop/s Theoretical Peak (Rpeak): 10,066.3 TFlop/s Power: 3,945.00 kW Operating System: Linux, Cost: $50 million dollar. Mira will be used for scientific research, including studies in the fields of material science, climatology, seismology, and computational chemistry. 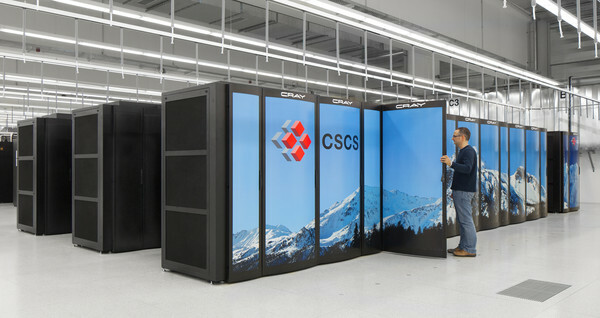 Piz Daint supercomputer is a Cray XC30 system and is the flagship system for national HPC Service. Piz Daint has a computing power of 7.8 PFlops, this means 7.8 quadrillion of mathematical operations per second. Piz Daint can compute in one day more than a modern laptop could compute in 900 years. This supercomputer is a 28 cabinet Cray XC30 system with a total of 5'272 compute nodes. The compute nodes are equipped with an 8-core 64-bit Intel SandyBridge CPU (Intel® Xeon® E5-2670), an NVIDIA® Tesla® K20X with 6 GB GDDR5 memory, and 32 GB of host memory. 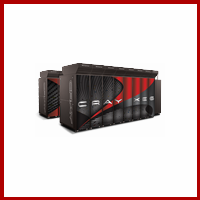 Cores: 115,984 Linpack Performance (Rmax): 6,271.0 TFlop/s Theoretical Peak (Rpeak): 7,788.9 TFlop/s Power: 2,325.00 kW Operating System: Cray Linux Environment Purpose/Usage: Weather forecast, climatology and scientific researches. The Stampede - PowerEdge C8220, Xeon E5-2680 8C 2.700GHz, Infiniband FDR, Intel Xeon Phi SE10P, Country: U.S. Site: Texas Advanced Computing Center/Univ. of Texas, Austin Manufacturer: Dell Cores: 462,462 Linpack Performance (Rmax): 5,168.1 TFlop/s Theoretical Peak (Rpeak): 8,520.1 TFlop/s Power: 4,510.00 kW Memory: 192,192 GB Operating System: Linux Purpose/Usage: In the field of medicine to detect brain tumors, biology (especially microbiology) human genetics, geophysics and earth sciences for earthquake forecast. Cost: More than $56 million dollar. The JUQUEEN developed in Country: Germany Site: Forschungszentrum Juelich (FZJ) Manufacturer: IBM Cores: 458,752 Linpack Performance (Rmax): 5,008.9 TFlop/s Theoretical Peak (Rpeak): 5,872.0 TFlop/s Power: 2,301.00 kW Memory: 458,752 GB Operating System: Linux Purpose/Usage: For researches in different fields of science. The Vulcan/Blue Gene developed in Country: U.S. Site: DOE/NNSA/ Lawrence Livermore National Laboratory Manufacturer: IBM Cores: 393,216 Linpack Performance (Rmax): 4,293.3 TFlop/s Theoretical Peak (Rpeak): 5,033.2 TFlop/s Power: 1,972.00 kW Memory: 393,216 GB Operating System: Linux Purpose/Usage: Used for researches in Biology, Plasma Physics, Climate Science, Molecular Systems and Solid & Fluid Engineering Cost: $100 million. The Super MUC developed in Country: Germany Site: Leibniz Rechenzentrum Manufacturer: IBM Cores: 147,456 Lin pack Performance (Rmax): 2,897.0 TFlop/s Theoretical Peak (Rpeak): 3,185.1 TFlop/s Power: 3,422.67 kW Operating System: Linux Purpose/Usage: Researchers in Medicine, Astrophysics, Earth quake simulation, computational chemistry, fluid dynamics and genome analysis Cost: $111million dollar.